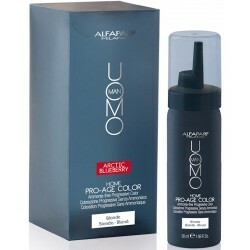 Uomo-Man - Just Beauty Products, Inc.
Alfaparf UOMO-MAN Ammonia-free Progressive Color for man in mousse for at-home gray hair camouflage that also provides a totally natural melange effect. Reflexing Shampoo to removes Yellow reflections from gray hair. Conditioning Cream that increases hair softness and reinforces hair fiber and Gel Color to cover gray hair in 5', dressing it in an absolutely natural melange. Uomo-Man There are 3 products. Alfaparf WOMO-MAN Energetic Conditioner 200ml. Atomized Sea Water. 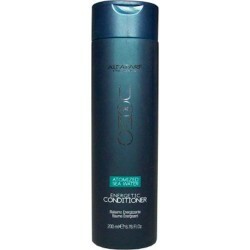 Conditioning Cream that increases hair softness and reinforces hair fiber. It provides a smoothing experience for the scalp with a fresh feel to the hair. 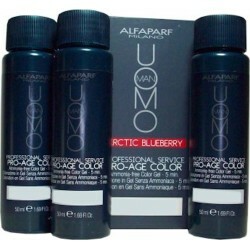 Alfaparf UOMO-MAN Arctic Blueberry Pro-Age Color Ammonia Free Color Gel (3 pcs). Gel Color to cover gray hair in 5', dressing it in an absolutely natural melange effect. This color gradually fades away, avoiding regrowth effect and color toning. Alfaparf UOMO-MAN Home Pro Ammonia-free Progressive Color for man 50ml./0.34oz. Progressive Color in mousse for at-home gray hair camouflage also provides a totally natural melange effect.